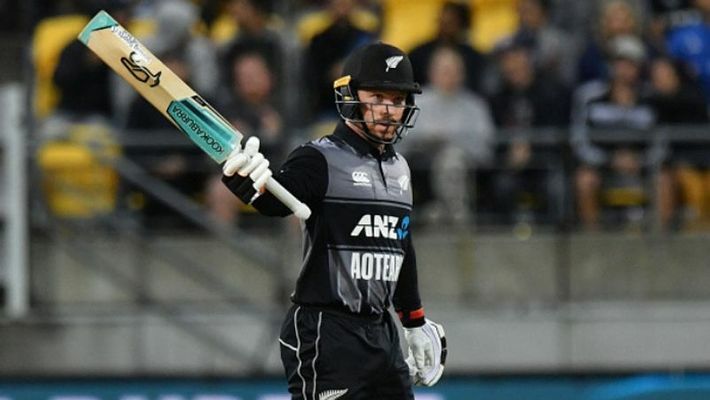 Wellington: Unheralded wicketkeeper-batsman Tim Seifert took the Indian bowling attack to cleaners with a scintillating 84 off 43 balls as New Zealand scored a commanding 219/6 in the first T20I in Wellington on Wednesday. Seifert, whose previous best score in T20Is was 14, was promoted to open alongside Colin Munro (34 off 20 balls) and they added 86 runs in only 8.2 overs in a whirlwind start. There weren't signs of overt footwork but he shuffled enough inside the crease to make room for the big shots and in the process disturb the line and length of the bowlers. The normally dependable Yuzvendra Chahal (1/35 in 4 overs) also was slog-swept over mid-wicket for the sixth maximum apart from being hit over extra cover for a boundary.